The year I graduated from high school the yearbook staff asked each senior to complete a form that asked us for nicknames and a quote to accompany our graduation photo. I included only those nicknames I was not too embarrassed to commit forever to print. And I struggled mightily to choose a quote that would sum me up, ad infinitum. As a mere 18-year-old, I had no idea just how long ad infinitum would be. When the yearbook was published and I read all the cool quotes my peers had picked — Bob Dylan and Joni Mitchell lyrics, morsels of recognizable literary wisdom, hilariously witty, original lines — I was mortified. Here I was in the age of Janice Joplin and Grace Slick and I was freakin’ Anne of Green Gables. But when I chose the quote, I honestly thought it a good credo to live by. Take the bad and turn it into good. Who wouldn’t want to do that? Who couldn’t do that? Again, in my naivety, I didn’t know how bad “bad” could be. I was a high school kid with a solid family, plenty to eat, clothes on my back and a college education about to begin. But the years have a way of clipping our Pollyanna wings, don’t they? My life has been extraordinarily blessed, but certain life events have most definitely challenged that innocent quote. At times I have come close to sinking under the load. At others, depending on my resolve, I have been able to squeeze the hell out of those lemons. When, in my 20s, I worked at a homeless and runaway shelter in New York City, I met young girls, residents of the center, who had been kicked out of the house when they turned 18. As legal adults, their mothers could no longer collect welfare for them so they were out on their own. Most of them had gotten pregnant, had babies and been abandoned with absolutely no prospects. I was only a few years older than they and there was absolutely nothing I could say or do to help. Some days I would go home in a deep funk over my inability to change things. But on other days I felt content to have provided an ear, to have humanized these women and I was ever so grateful to come home to my four-flight walk up and make myself dinner. When, later in life, I worked in a support role with cancer patients at a Seattle medical center, I did my best to meet them where they were and provide whatever support they were seeking. I obviously couldn’t take the cancer away. I couldn’t make their hair grow back. I couldn’t even relate as I had never had cancer. But I could hold their hands while they cried I could make them laugh if that seemed appropriate. When I met women whose children were the same ages as mine I kept my emotions in check. I had to in order to do my job. On those days, I went home and hugged my kids even harder than usual. There are certain things that life hands us that a glass of lemonade just ain’t gonna fix. When my mother died recently, well meaning neighbors and friends asked how old she was and then informed me of her good, long life. I know what they were trying to do, but it felt dismissive. I have learned the hard way not to dismiss others’ pain with platitudes proclaiming that everything will be okay. Because it might not. We learn as we go. It is in our nature to want to help, to erase pain, to make it go away. But that is not always possible. How do we erase the pain of parents and children separated at our Southern border? How do we take away the sorrow of a friend whose husband died tragically or the fear of another who has been diagnosed with metastatic cancer? How do we comfort a friend who has lost his wife? Instead of trying to fix it, I have found that the most effective approach is to simply witness the pain. To be present. And then to act when it’s the right thing to do. We can hit the streets and protest policies that are hurting people. We can show up when a friend is hurting and needs someone to be there. And we can keep showing up long after others have faded away. Ad infinitum. 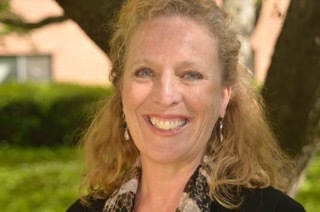 IRENE PANKE HOPKINS (irenehopkins.com) is a freelance writer and essayist. You can reach her at hopkinsirene23@gmail.com.